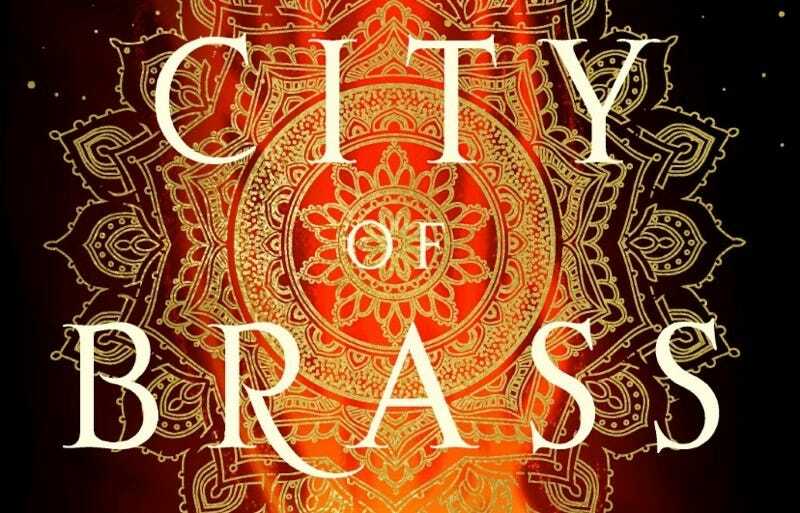 S.A. Chakraborty’s debut fantasy novel, The City of Brass, isn’t out until November, but we have a sneak peek at the first chapter, as well as insight from the author about the magical world she created. It begins in 18th century Cairo, and follows a con artist who realizes her true powers after a mysterious encounter. I started writing The City of Brass as an exploration into traditional beliefs about djinn. It’s often taught that djinn are intelligent beings similar to humans, created from smokeless fire and living unseen in our midst—which I always found a fascinating albeit slightly frightening concept, this idea of creatures living silently among us, dispassionately watching the rise and fall of our various civilizations. It’s also a concept that offers a great opportunity to imagine how the djinn might have built their world, mimicking the ways of their human neighbors. So in the book, there’s a djinn version of Baghdad’s great library, filled with the ancient books humans have lost alongside powerful texts of magic; they battle with weapons from Achaemenid Persia (enhanced by fire of course); the medical traditions of famed scholars like Ibn Sina have been adapted to treat magical maladies; dancers conjure flowers while singing Mughal love songs; a court system based on the Zanzibar Sultanate deals justice to merchants who bewitch their competitors… not to mention a cityscape featuring everything from ziggurats and pyramids to minarets and stupas. I also pushed a little further with the idea of the unseen, imagining a world of enchanted creatures created from other elements passing through ours: marid raising rivers into great serpents, peris whipping the air into tornados, djinn conjuring maps of smoke and racing birds of fire. And, finally, the excerpt, in which we meet protagonist Nahri as she’s still working as a (mostly) faux fortuneteller in a Cairo market stall. Nahri smiled behind her veil, watching the two men bicker as they approached her stall. The younger one glanced anxiously down the alley while the older man—her client—sweated in the cool dawn air. Save for the men, the alley was empty; fajr had already been called and anyone devout enough for public prayer—not that there were many in her neighborhood—was already ensconced in the small mosque at the end of the street. She fought a yawn. Nahri was not one for dawn prayer, but her client had chosen the early hour and paid handsomely for discretion. She studied the men as they approached, noting their light features and the cut of their expensive coats. Turks, she suspected. The eldest might even be a basha, one of the few who hadn’t fled Cairo when the Franks invaded. She crossed her arms over her black abaya, growing intrigued. She didn’t have many Turkish clients; they were too snobbish. Indeed, when the Franks and Turks weren’t fighting over Egypt, the only thing they seemed to agree on was that the Egyptians couldn’t govern it themselves. God forbid. It’s not as though the Egyptians were the inheritors of a great civilization whose mighty monuments still littered the land. Oh, no. They were peasants, superstitious fools who ate too many beans. Well, this superstitious fool is about to swindle you for all you’re worth, so insult away. Nahri smiled as the men approached. She greeted them warmly and ushered them into her tiny stall, serving the elder a bitter tea made from crushed fenugreek seeds and coarsely chopped mint. He drank it quickly, but Nahri took her time reading the leaves, murmuring and singing in her native tongue, a language the men most certainly wouldn’t know, a language not even she had a name for. The longer she took, the more desperate he would be. The more gullible. Her stall was hot, the air trapped by the dark scarves she hung on the walls to protect her clients’ privacy and thick with the odors of burnt cedar, sweat, and the cheap yellow wax she passed off as frankincense. Her client nervously kneaded the hem of his coat, perspiration pouring down his ruddy face and dampening the embroidered collar. Nahri hid a triumphant smile. So they were Turks. They wouldn’t expect her to understand them—they probably assumed an Egyptian street healer barely spoke proper Arabic—but Nahri knew Turkish as well as she knew her native tongue. And Arabic and Hebrew, scholarly Persian, high-class Venetian, and coastal Swahili. In her twenty or so years of life, she had yet to come upon a language she didn’t immediately understand. But the Turks didn’t need to know that, so she ignored them, pretending to study the dregs in the basha’s cup. Finally she sighed, the gauzy veil fluttering against her lips in a way that drew the gazes of both men, and dropped the cup on the floor. Nahri glanced up at the man, languidly blinking long-lashed black eyes. He’d gone pale, and she paused to listen for the pulse of his heart. It was fast and uneven due to fright, but she could sense it pumping healthy blood throughout his body. His breath was clean of sickness, and there was an unmistakable brightness in his dark eyes. Despite the graying hairs in his beard—ill hidden by henna—and the plumpness in his belly, he suffered from nothing other than an excess of wealth. She’d be glad to help him with that. She dropped her gaze. “There are some things that are beyond me,” she said quietly. Arslan shot her an irritated look before turning back to the basha. “Pull yourself together, Cemal,” he hissed in Turkish. Nahri leaned back, hiding her pleasure. She had no idea what cripple he was referring to, but God be praised, it would certainly help her reputation. His shoulders shook as he sobbed. She waited for him to grow a bit more hysterical, taking the opportunity to appraise the thick gold bands circling his wrists and neck. A fine garnet, beautifully cut, was pinned to his turban. “It’s not a certainty,” she warned. “How?” the basha asked, his voice hushed and eager. She paused; it was the heart he was worried about? “God willing, sir. Have your new wife put the powdered lime and oil into your evening tea for the next month.” It wouldn’t do anything for his nonexistent heart problem, but perhaps his bride would better enjoy his breath. Nahri let go of his hand. He rose heavily to his feet. “I must ask, child, where are your people from? You’ve a Cairene accent, but there’s something about your eyes . . .” He trailed off. “I’m as Egyptian as the Nile,” she assured him. “Of course.” He touched his brow. “In peace.” He ducked under the doorway to leave. Arslan stayed behind another moment; Nahri could feel his eyes on her as she gathered her payment. “You do realize you just committed a crime, yes?” he asked, his voice sharp. It was a mistake. His face instantly reddened. He raised his hand, and Nahri flinched, her fingers reflexively tightening over the basha’s ring. One sharp edge cut into her palm. But he didn’t hit her. Instead, he spat at her feet. “By God as my witness, you thieving witch . . . when we clear the French out of Egypt, filth like you will be the next to go.” He shot her another hate-filled glare and then left. She took a shaky breath as she watched the arguing brothers disappear into the early morning gloom toward Yaqub’s apothecary. But it wasn’t the threat that unsettled her: It was the rattle she’d heard when he shouted, the smell of iron-rich blood in the air. A diseased lung, consumption, maybe even a cancerous mass. There was no outward sign of it yet but soon. Arslan had been right to suspect her: there was nothing wrong with his brother. But he wouldn’t live to see his people reconquer her country. She unclenched her fist. The gash in her palm was already healing, a line of new brown skin knitting together beneath the blood. She stared at it for a long moment and then sighed before ducking back inside her stall. She pulled off her knotted headdress and crumpled it into a ball. You fool. You know better than to lose your temper with men like that. Nahri didn’t need any more enemies, especially not ones now likely to post guards around the basha’s house while he was in Fayoum. What he’d paid today was a pittance compared to what she could steal from his empty villa. She wouldn’t have taken much—she’d been doing her tricks long enough to avoid the temptations of excess. But some jewelry that could have been blamed on a forgetful wife, a quick-fingered servant? Baubles that would have meant nothing to the basha and a month’s rent to Nahri? Those she would take. Muttering another curse, she rolled back her sleeping mat and dislodged a few bricks from the floor. She dropped the basha’s coins and ring in the shallow hole, frowning at her meager savings. It’s not enough. It’s never going to be enough. She replaced the bricks, calculating how much she still needed to pay for this month’s rent and bribes, the inflated costs of her increasingly unsavory profession. The number always grew, pushing away her dreams of Istanbul and tutors, of a respectable trade and actual healing instead of this “magical” nonsense. But there was nothing to be done about it now, and Nahri wasn’t about to take time from earning money to bemoan her fate. She stood, winding a rumpled headscarf around her messy curls and gathering up the amulets she’d made for the Barzani women and the poultice for the butcher. She’d need to come back later to prepare for the zar, but for now, she had someone far more important to see. The City of Brass is out November 14, 2017.